Business models are the same way. If you don’t change your angle or perspective, you can miss opportunities. 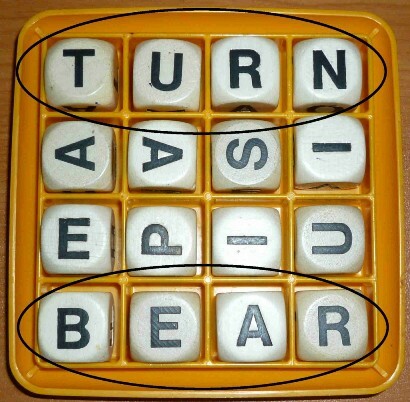 Rotating a Boggle board is easy. How do you figuratively rotate your business? 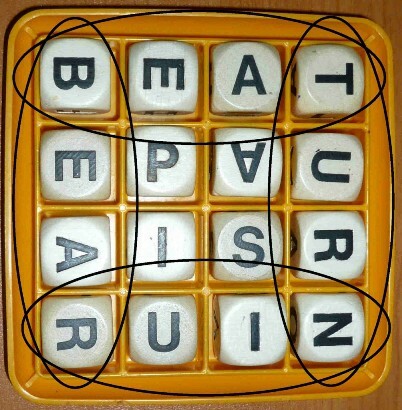 Did you see the words “beat” and “ruin” before the board was rotated? 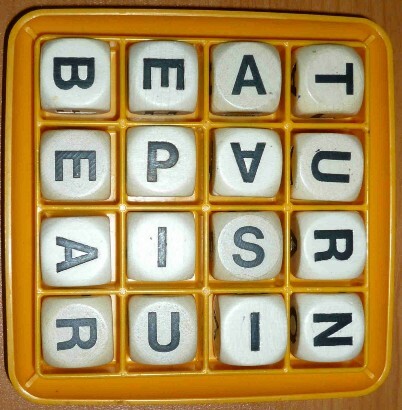 If nothing else, these words were much easier to find once the board was turned. The simplest way to rotate your business “board” is to bring in a fresh pair of eyes. Someone without your past experiences and encumbrances may see things differently than you. 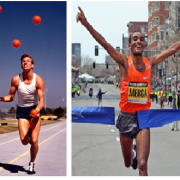 Another method is to follow Tom Peter’s advice and “creatively swipe” best practices from unrelated industries. I have seen a retail pool table store borrow a best practice from an alarm company. I have seen best practices from a title insurance company used in on a manufacturing floor. Each and every year, your business model grows a bit more stale. It’s much like staring at the same Boggle board. From time to time, we must refresh this model. One of the best ways to refresh the model is to raise margins or lower cost structure. If you are looking for a way to do both, check out a previous post on Providing Stakeholder Transparency. 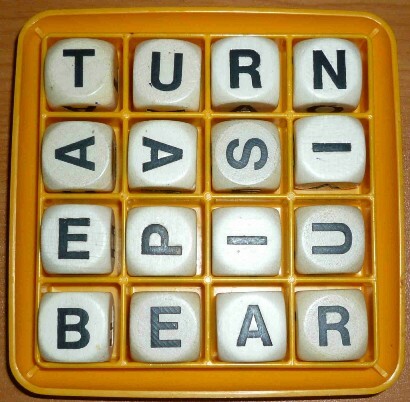 And don’t forget to rotate your Boggle board. Previous PostSmall Business Is Missing Out On The R&D Tax Credit By Tom BalistreriNext PostKmart business model overhaul?